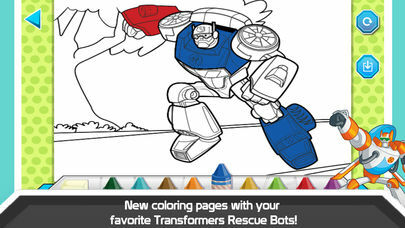 •Interactive TRANSFORMERS RESCUE BOTS action and voices on every page! 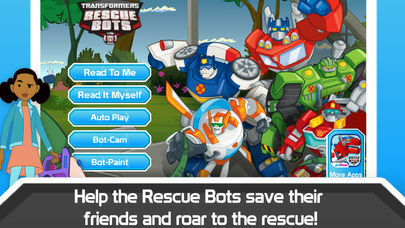 •The entire Rescue Bots Team, Blades, Boulder, Chase, and Heatwave change modes at the touch of your finger. 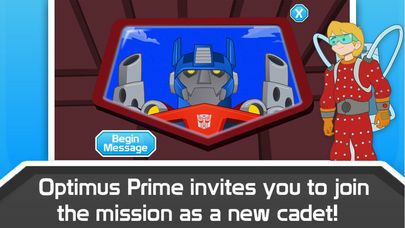 •You are at center of the story! 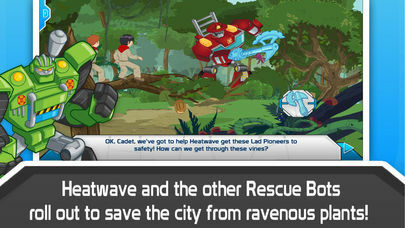 •Quality animation brings story live! 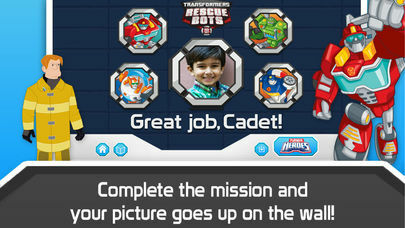 •Take your picture with the TRANSFORMERS RESCUE BOTS when you complete the mission!